naturally dyed by hand, no two skeins are the same. 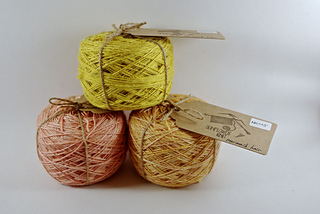 this luscious single ply yarn is made with 50% silk and 50% wool. perfect for shawls.